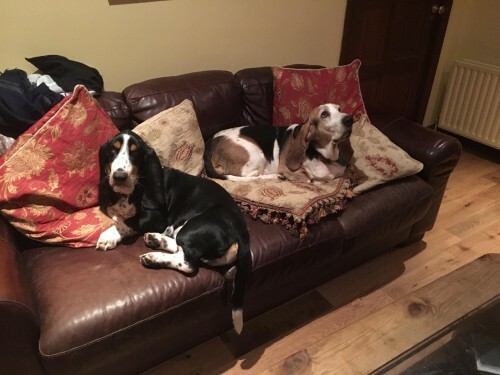 Home » Lost » Lost Dogs » Two Bassett Hounds. Male. Neutered and chipped. Two Bassett Hounds. Male. Neutered and chipped. Beckett aged 8. Lemon and white. Overweight. Green collar. Garrett aged 1. Tri colour. Thin.